Solaimani, N., Ashori, Z., Moalemi, M., Karimzadeh, S., Azimzade, S. (2014). The Role of Climate and climatic factors on crop zoning agroclimatic sunflower cultivation in Hamedan province. International Journal of Advanced Biological and Biomedical Research, 2(Issue 4 (2)), 248-255. Nasibeh Solaimani; Zeinab Ashori; Mona Moalemi; Sarah Karimzadeh; Samane Azimzade. "The Role of Climate and climatic factors on crop zoning agroclimatic sunflower cultivation in Hamedan province". 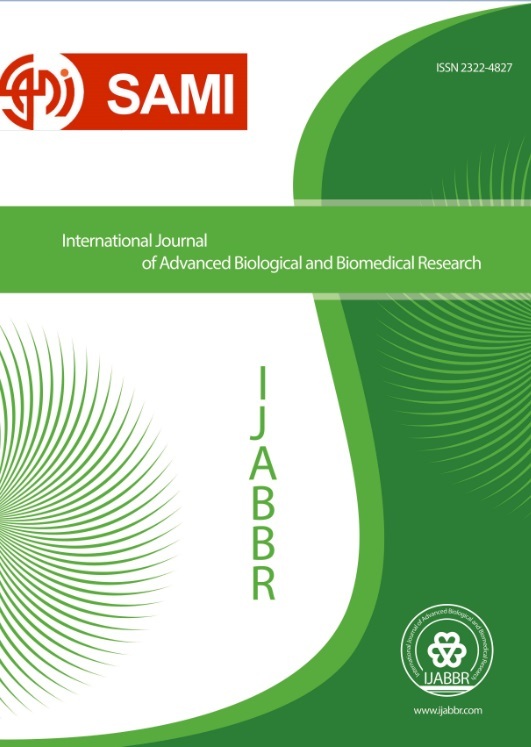 International Journal of Advanced Biological and Biomedical Research, 2, Issue 4 (2), 2014, 248-255. Solaimani, N., Ashori, Z., Moalemi, M., Karimzadeh, S., Azimzade, S. (2014). 'The Role of Climate and climatic factors on crop zoning agroclimatic sunflower cultivation in Hamedan province', International Journal of Advanced Biological and Biomedical Research, 2(Issue 4 (2)), pp. 248-255. Solaimani, N., Ashori, Z., Moalemi, M., Karimzadeh, S., Azimzade, S. The Role of Climate and climatic factors on crop zoning agroclimatic sunflower cultivation in Hamedan province. International Journal of Advanced Biological and Biomedical Research, 2014; 2(Issue 4 (2)): 248-255. Needs of human life from the beginning been an important factor We have been threatened by population growth, food security and human well- Men of science and technology with a new plan Maintain and improve their food security to make it work. In this investigation, meteorological data have been received from synoptic stations based on daily, monthly, and annually trend from Iran Meteorological Organization (IMO) at Hamedan Province and then homogeneity of data has been explored by (Wald- Wolfowitz) Run Test. Methodology of the research is of statistical descriptive type. Data analysis was carried out by means of Growing Degree Day (GDD) technique and method of Deviation from Optimum Percentage (DOP) plus phenology index as well as thermal potential within environment of statistical software (EXCEL and SPSS). Under agroclimatic conditions, the results of this survey The early days of May are the best calendar for cultivation of sunflower month in all the aforesaid substations. Time of harvesting sunflower crop is middle August for Hamedan, Nojeh, and Nahavand substations while this time is early September for Malayer substation. With respect to the phenological method, dates of cultivation until budding, flowering, and the end of flowering stage and maturation start respectively sooner in Nahavand substation than other substations in this region.